The Hunt Institute at the University of Texas at El Paso (UTEP) has just released an insightful economic and employment report titled “Paso Del Norte Economic Indicator Review”. The report reflects strong population growth and international trade in the El Paso, Las Cruces and Juarez metro areas and is also optimistic on continued economic development and employment opportunities due in part to Juarez’s strong manufacturing industry. The Hunt Institute is one year old and they have announced that they will be releasing this report on a quarterly basis. ▪ Juárez is considered a center for automotive and electronics manufacturing production. ▪ Population growth in the last two decades has outpaced national growth rates for both the United States and Mexico. ▪ Direct labor in the Juarez region had the second-lowest monthly wages among nine border cities in Mexico as of December 2014 with an average wage of $422 USDs per month. The lowest wages among the nine border cities in Mexico was in Ciudad Acuña which is across from Del Rio, Texas and Acuña’s average of $401 USDs per month. ▪ Inversely, indirect labor reflected the highest average cost among the nine Mexican border cities with an average of $2,238 per month. The report reflects that more research is needed to determine why these wage differences exist. 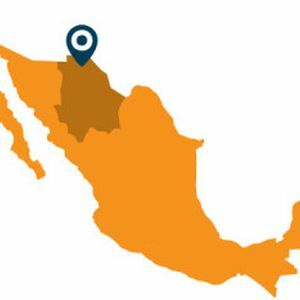 It has been our experience that while the Juárez region is getting control of its previously well reported security problem, there are lingering perceptions and consequences and higher salaries for maquiladora managers is one of those. A review of search assignments that we have completed since 2001 has shown a clear correlation in increased compensation levels for indirects before, during and present to Juárez’s security crisis. ▪ Data from the report shows El Paso / Juárez in second place behind Laredo for truck and rail shipments between the US and Mexico. ▪ The report ranks Juárez's top 10 maquiladora operations by number of employees with the top three industry sectors of automotive, electronics and medical devices employing approximately 75,000 people. These three sectors and 75,000 employees represent one-third of all export-oriented manufacturing employment in Juárez. ▪ Juárez’s largest employer is Southfield, Michigan-based Lear Corporation. Lear designs and produces automotive seating and electrical distribution systems and as of February 2015 had 11 plants and 24,000 workers in Juárez. Automotive components producer – Delphi Automotive was in second place with 12 plants and 12,000 employees in Juárez. Foxconn, manufacturer of consumer electronics, was in third place with three plants and 11,600 employees. ▪ The combined population of El Paso, Las Cruces and Juárez is approximately 2.5 million people and the report reflects the population is expected to grow to 3.4 million people over the next 15 years.